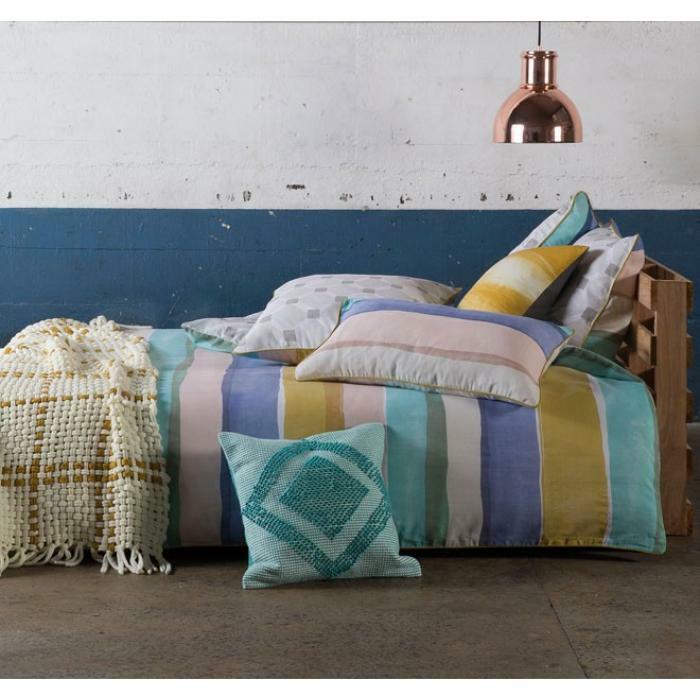 The painterly stripe of Rory Quilt Cover Set by Kas Room range will add uniqueness & warmth to any bedroom. Rory Quilt Cover Set by Kas showcases this season’s must have colour palette printed onto rich 100% cotton slub, featuring a complimentary geometric design on the reverse of the quilt cover, pillowcases and European pillowcases making it fully reversible. Simply ideal for a cutting edge look. This coverlet cover by KAS will most likely change the look of your room. The design showcases this season’s must have colour palette printed onto rich 100% cotton slub. You can purchase this lovely stitch spread at the accompanying connection.